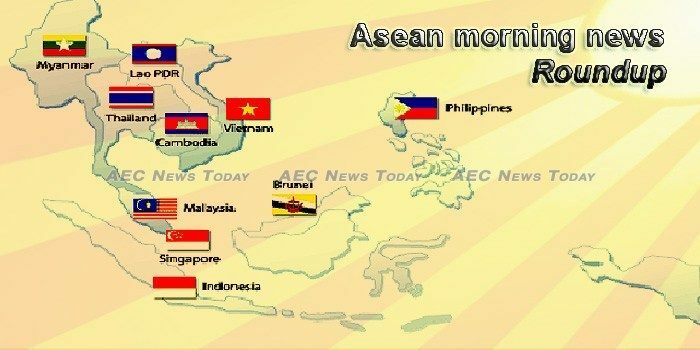 Does the Association of Southeast Asian Nations matter? The question has been asked many times since Indonesia, Malaysia, Philippines, Singapore and Thailand first came together under that banner more than 50 years ago. The plan for a single vias for “Five Chiang Cities” will be propo to spur tourism among four countries in the Mekong Region and add quality tourists to Chiang Mai and Chiang Rai provinces of Thailand. With its continuous growth over the past 10 years, ASEAN has become an important market for Vietnamese seafood, and the prospect of 1 billion USD worth of yearly seafood export revenue is reachable. Taiwan, battling a severe brain drain to the mainland, plans to offer citizenship to students and skilled workers from Southeast Asian nations under proposed legislation that will head to the self-ruled island’s lawmakers for review and a vote next month. These were some of the first things that came to mind when TODAY asked young Singaporeans what they thought of Southeast Asia. Information and communications technology has come a long way in support of small and medium enterprises in the Association of Southeast Asian Nations. When India invited 10 Asean leaders for Republic Day, it did not reckon that Asean would refuse to hold a second summit with India in November. CIMB Group Holdings Bhd has been named one of the world’s top 100 most diverse and inclusive organisations in the Thomson Reuters’ Diversity & Inclusion (D&I) Index 2018, making it the sole Asean banking group in the list. BOMBARDIER, the Canada-based manufacturer of planes and trains, expects strong growth in its business in Asean countries due to expanding investment in infrastructure projects in the region. Although there has been a remarkable decrease in the death rate of children under five in Asia, there are many countries in the region that are still struggling to contain the mortality rate and provide a better survival for the children to stay alive beyond five. The recent ASEAN-China agreement on a Single Draft Negotiating Text (SDNT) for a Code of Conduct for the South China Sea (COC) has significant ramifications for intra-ASEAN, China -ASEAN and China-US relations. Thai and Cambodian civil society organizations rejected an invitation from the Lao government to attend a regional stakeholder forum on the Pak Lay dam, saying that the prior notification and consultation procedures for the controversial hydropower project are not transparent. Technology today is widely associated with the digital realm – computers, the internet, mobile device, and smartphones, – just to name a few, which has seen the mushrooming of a myriad of tech startups. A growing number of Asian manufacturers of products ranging from memory chips to machine tools are moving to shift production from China to other factories in the region in the wake of US President Donald Trump’s tariffs on Chinese imports. Southeast Asia’s electricity consumption has been rising at an annual rate of 7.5 percent from 155.3 terawatt hours (TWh) in 1990 to 821.1 TWh in 2013, according to a white paper by the ASEAN Centre for Energy in the Spring 2016 issue of Cornerstone Journal. Australian filmmaker James Ricketson has touched down on Australian soil after Cambodian authorities pardoned his espionage conviction and deported him from the kingdom. The recent outbreak of African Swine Fever (ASF) in China has put the Kingdom’s authorities on alert, with Cambodia’s Ministry of Agriculture on Thursday holding a workshop on the measures to be taken in order to keep the Kingdom free of the disease. Cambodia’s Ministry of Foreign Affairs and International Cooperation has released schedules of Prime Minister Samdech Akka Moha Sena Padei Techo Hun Sen during his visit in New York to attend the 73rd Session of the UN General Assembly and its relevant meetings from Sept. 27-30, 2018. Campaigning for Indonesia’s presidential election officially began Sunday with the two contenders releasing white doves and vowing a peaceful race as concerns simmer the campaign will sharpen religious and ethnic divides. American tech giant Amazon is planning a 14 trillion-rupiah (SS1.3 billion) foray into Indonesia, in another major investment in the South-east Asian digital economy. Indonesian authorities have generally opened their arms to fintech companies offering online loans in Southeast Asia’s biggest economy, viewing them as a way of getting credit to tens of millions of people often unable to access bank lending. The United States government has confirmed continued support of US$14.5 million for MAG Laos to conduct survey and unexploded ordnance (UXO) clearance operations in seven target districts of Xieng Khuang province. Environmental activists are urging Laos and the Mekong River Commission to halt the Pak Lay Hydropower project until all stakeholders can rigorously assess the project’s environmental and social impacts. The concrete casting for the first block of the Luang Prabang cross-Mekong River super major bridge’ continuous beam along the China-Laos Railway was completed on Sept. 17, the Chinese contractor told Xinhua on Saturday. Container shipping firms along with other players in the cabotage industry have been urged to persevere and find ways to work around trade tariffs, import restrictions and trade embargoes to sustain their business in an industry that is already in distress having to contend with numerous pre-existing challenges. China Communications Construction Company (CCCC) is transforming from an engineering, procurement, construction and commissioning (EPCC) contractor to an investor, developer and operation service provider, says its vice-president Sun Ziyu. A sense of unease has overcome parts of the east Malaysian state of Sabah on Borneo island after a kidnapping incident off the waters of the coastal town of Semporna last week (Sep 11). In a bid to reduce the use of firewood and charcoal through the extensive use of Liquefied Petroleum Gas (LPG) and promote health and social standards of the rural people, Ministry of Electricity and Energy will distribute LPG to one million households in 2020, said Win Khaing, Union Minister for Electricity and Energy. Typhoon Paeng entered the Philippine area of responsibility yesterday and is expected to hit extreme Northern Luzon this weekend. Filipinos are increasingly forced to tighten their belts in the wake of a continued high inflation rate which reached 6.4 per cent in August and could exceed seven per cent in September, according to analysts’ estimates. At least 155 people have been killed in landslides and other accidents caused by Typhoon Mangkhut and monsoon rains in the Philippines. Chinese mainland tourists to Thailand dropped 11.77 percent in August compared with the same month last year, according to Thailand’s Ministry of Tourism and Sports statistics. Invoking Article 44 of the interim constitution to legalize medical marijuana is merely an idea raised by the academic sector, says Deputy Prime Minister ACM Prajin Juntong. THE PRIME MINISTER yesterday praised the country for “leapfrogging” the global healthcare efficiency rankings, but health activists called for higher funding to ensure sustainability. Vietnam has announced to hold a state funeral for President Tran Dai Quang, who passed away Friday, on September 26 and 27. President Quang died, aged 62, at the 108 Military Hospital in Hanoi on Friday morning, after fighting a serious illness for more than a year. The European Plastic Joint Stock Company (Europlast) held a groundbreaking ceremony for the 50MWp Europlast Long An solar power plant in Duc Hue district’s My Thanh Bac commune in the Mekong Delta province of Long An on September 21.